4.5	stars -	"Review for KT Yardstick PU Longboard 9 Foot" Mark Taylor This KT Yardstick PU Longboard 9 Foot is the best Longboards I have tried. Highly versatile squash tail longboard suitable for all wave sizes and shapes. Shaped for easy nose riding, silky turning and gliding on the tail at speed. 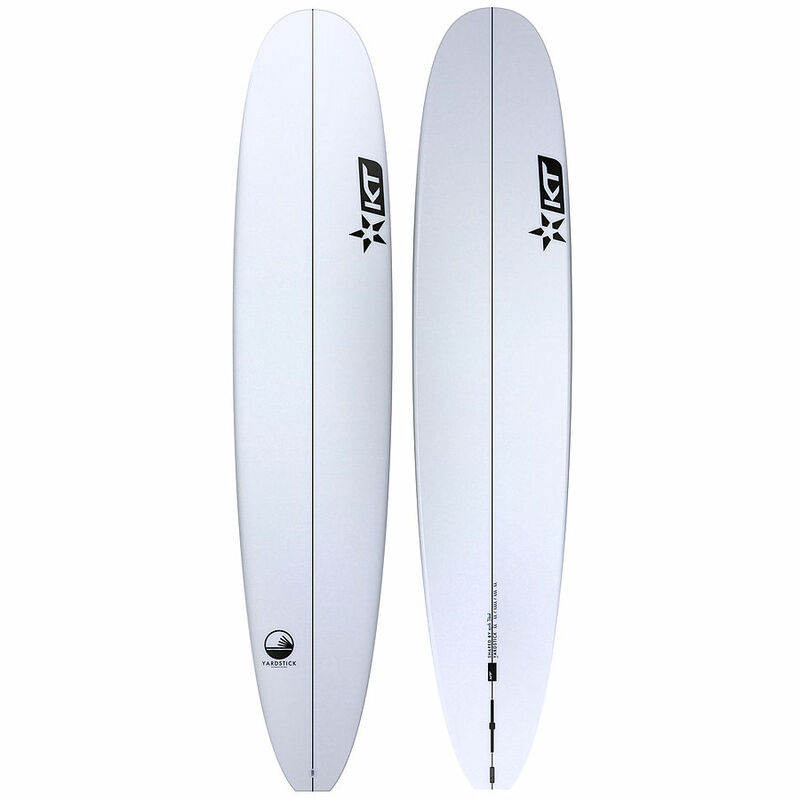 High rocker and deep double concaves hold the board predictably on any steep wall. Quick reponsive turns off the tail, US centre fin box with FCS2 side boxes. PU foam core with polyester glassing gives that predicable feel and flex only the traditional construction can offer. A performance quality build makes these boards incredibly rewarding and affordable.